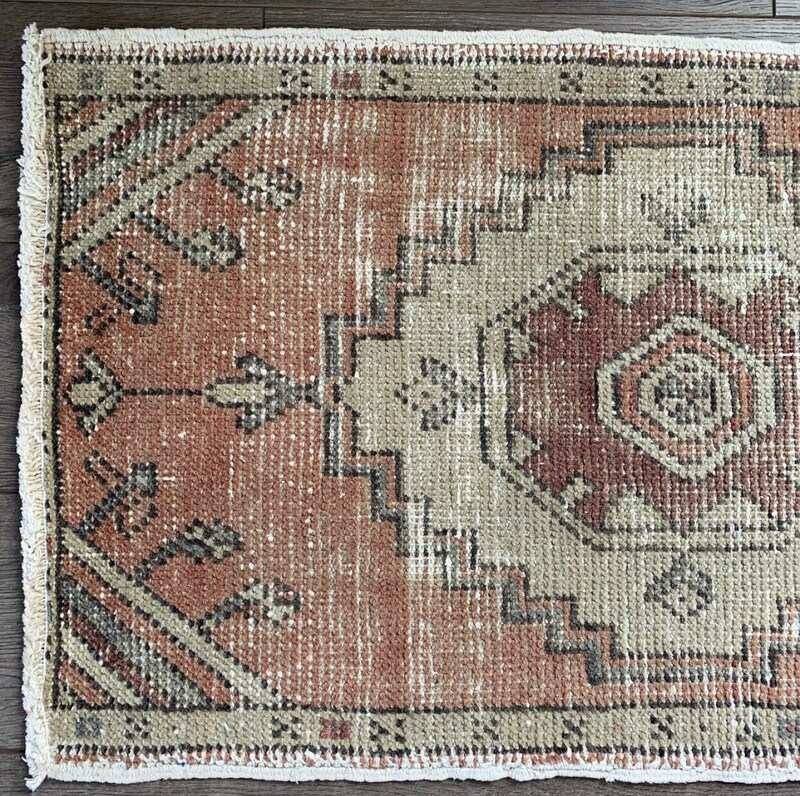 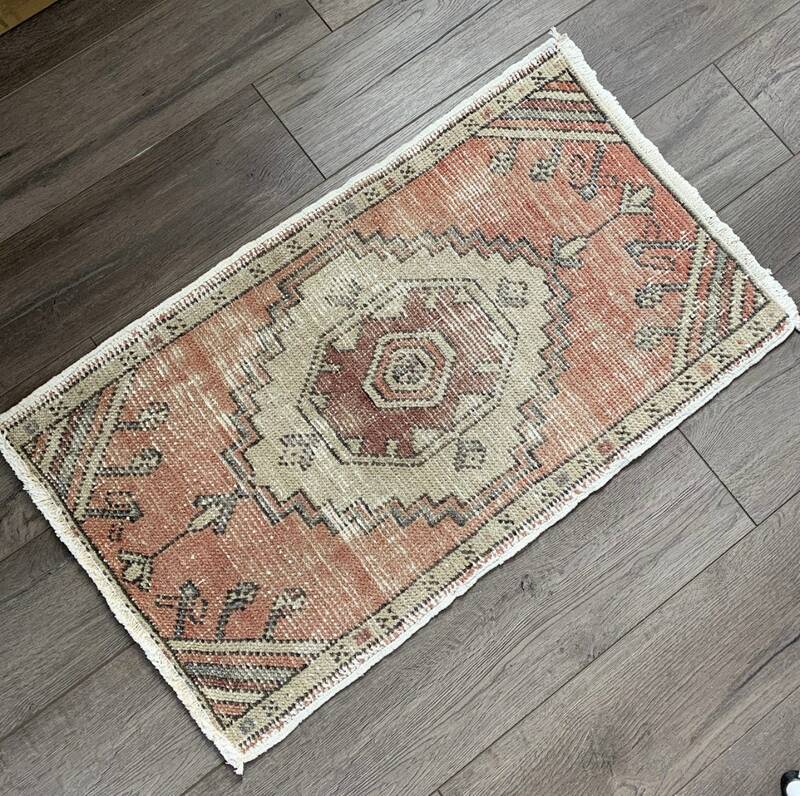 This mini Turkish Oushak was hand-knotted in the 1940s and is in excellent vintage condition with light wear patterns. 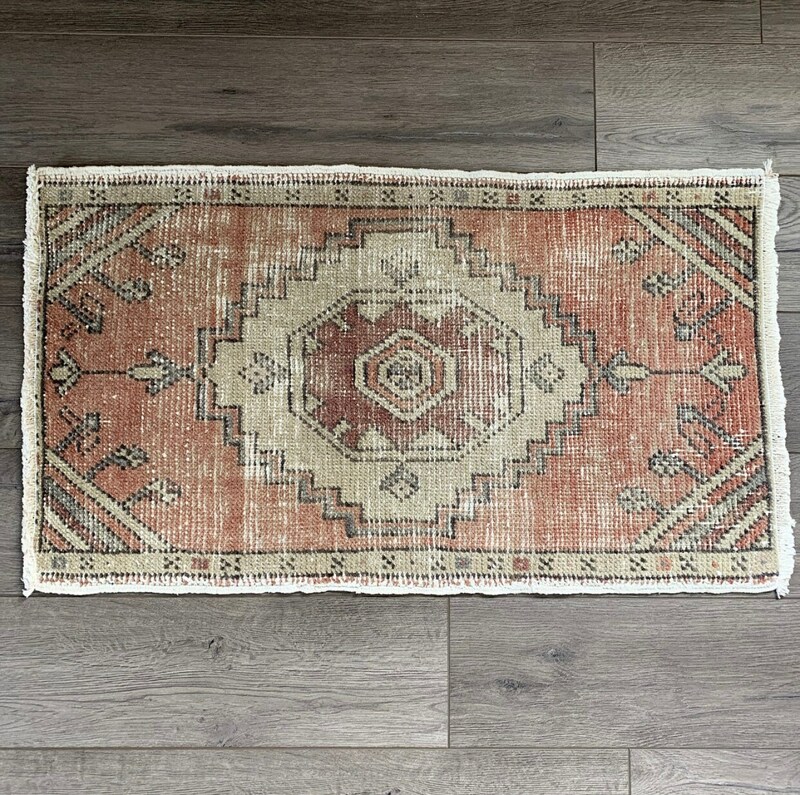 It has beautiful and rare earthy colours - that highly desired muted terracotta, paired with sage green and a muted burnt orange in the centre medallion. 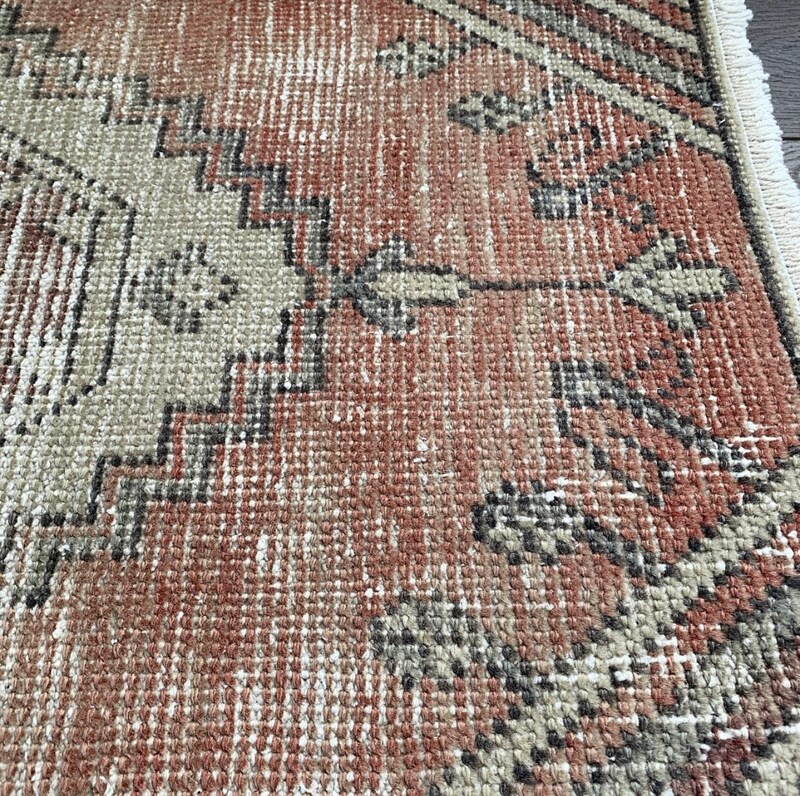 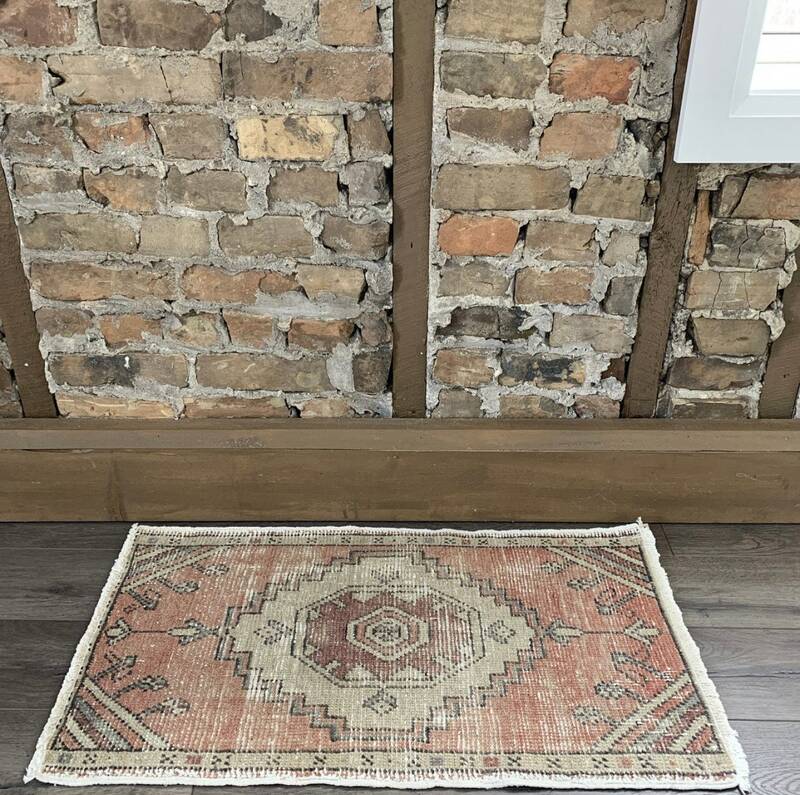 Beige, taupe and terracotta across the rug...it’s a real looker!